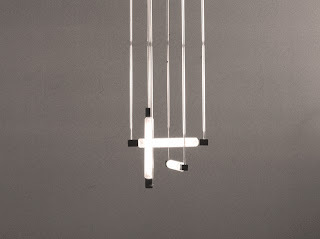 Gerrit Rietveld (1888-1965) designed this iconic hanging lamp around 1922 for Dr Hartog who lived near Utrecht. It hung over his office desk until the interior was completely destroyed in 1939. Created while Rietveld was a member of the De Stijl group, the clean undecorated lines and simplified palette perfectly reflect the modern aesthetics of the group, in sharp contrast to the flowing lines of the Art Nouveau style before WW1. 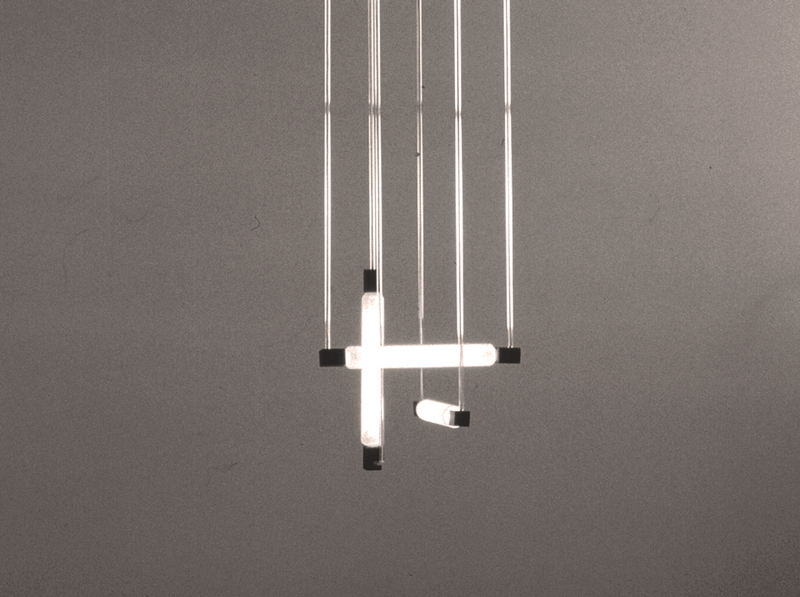 In this lamp, Rietveld stripped the fixture down to its essential of four lighting tubes and wires, and then reconstructed it into a three-dimensional hanging light sculpture. A true icon of 20th century Modernist design, it looks as astonishingly modern today as it did when it was created. There are two original versions of this hanging lamp in the Utrecht Central Museum and the Amsterdam Museum of Modern and Contemporary Art.